Servant of God Sister Thea Bowman, FSPA, left an indelible mark on her community and on her Church. She lovingly taught young people about the joy of being Christian, she challenged her church to accept her as “fully black and fully Catholic,” she embraced her suffering with a willing spirit and she called all to a living faith. 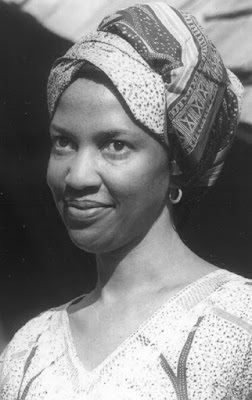 I never heard of Sister Thea Bowman before but I was captivated by her sweet expression and the story I read in the National Catholic Register which I encourage you to read.